Isambard Kingdom Brunel’s trainshed at Paddington is one of the wonders of British architecture. The first real cathedral of the railway age, with columns supporting the innovative, ridge-and-furrow glazed roof, it was both decorative and ingeniously functional. Hidden pipes drained rainwater underneath the concourse floor, while the roof’s iron beams were pierced with geometric shapes to help the cleaners fit the scaffolding necessary to clean this complex structure. Hailed as one of the nation’s greatest stations, Newcastle Central Station is a classical tour-de-force. Designed by John Dobson, it was built in a commanding Doric style with a 600 feet long street façade. 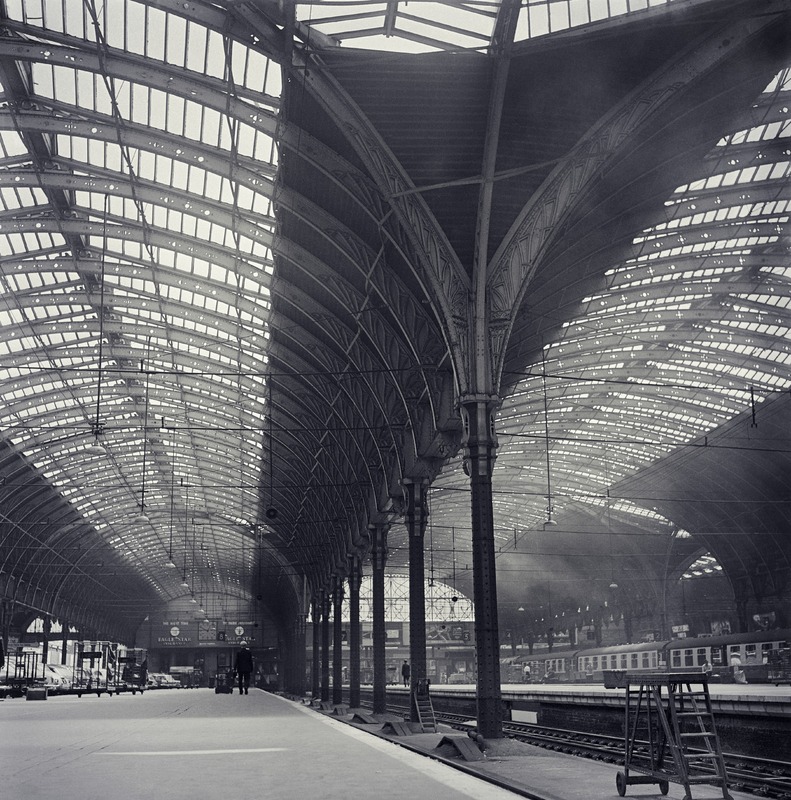 With the help of engineer Robert Stephenson, Dobson also designed the enormous trainshed, which comprises three arched glass roofs built in a curve. It was the first true iron-and-glass vault on a giant scale, and the ancestor of other great city station trainsheds. This engaging Tudor-style composition was perhaps the most playful station designed by Sir William Tite. A well-established architect who made his name internationally with the Royal Exchange in London, Tite turned his hand to station design in the 1830s and 40s. His railway work soon provided the bulk of his practice’s income. 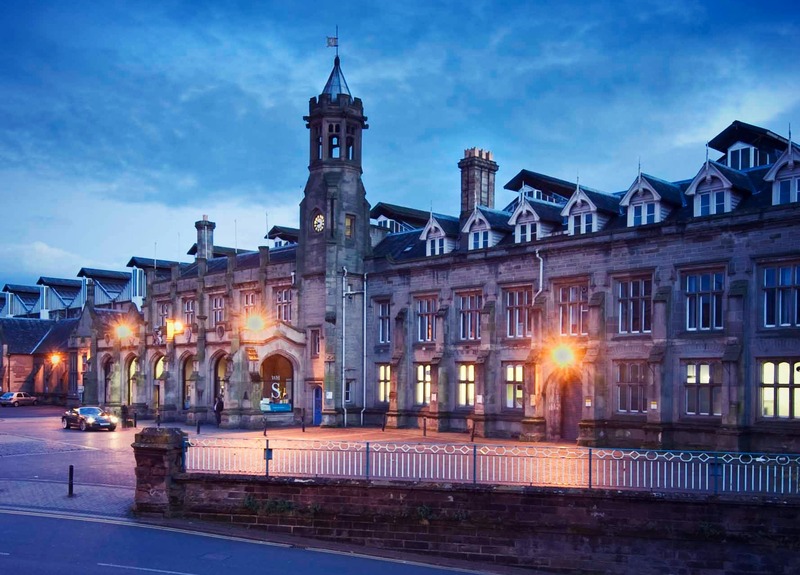 The magnificent Citadel Station designed by Sir William Tite in 1847 for seven different railway companies, is built in fine, local red sandstone. Its grand, five-bay, buttressed porte-cochère is complemented by an ecclesiastical-looking clock tower. 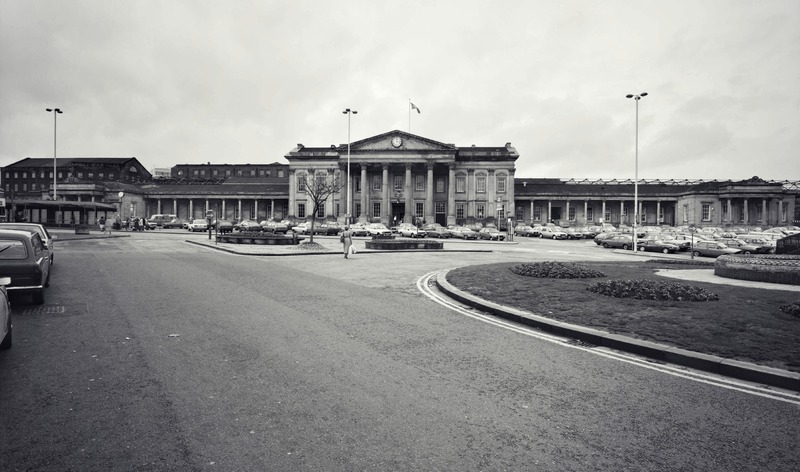 Fronted by a magnificent classical portico, J P Pritchett’s Huddersfield station is a prime example of how classical features were used to add dignity to the new building type of the railway station. The result resembled the large Yorkshire country house Wentworth Woodhouse. A grand, tetrastyle Ionic portico is flanked by wings incorporating Greek Doric columns and Tuscan pilasters; the result is a strikingly handsome classical civic building which resonates dignity and permanence. 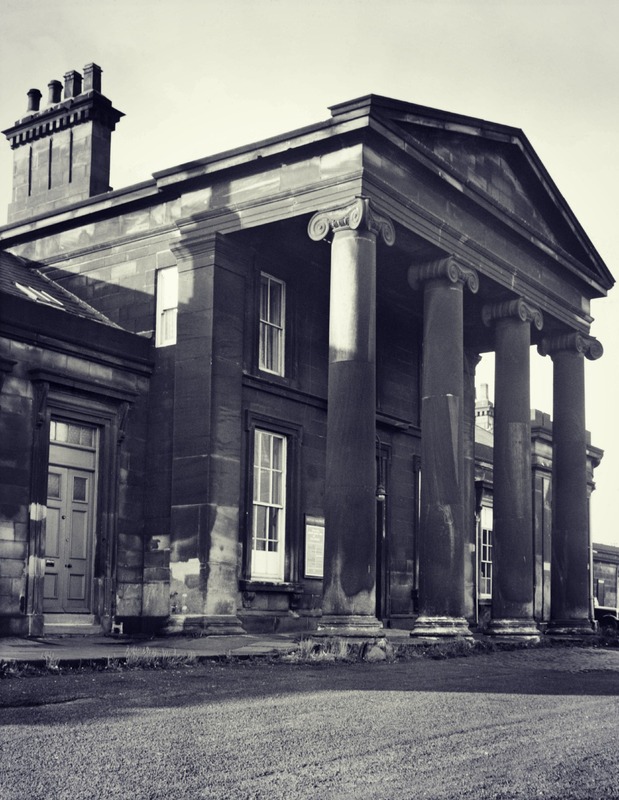 Designed by local architect Thomas Moore in 1848, Monkwearmouth Station now houses a small railway museum. 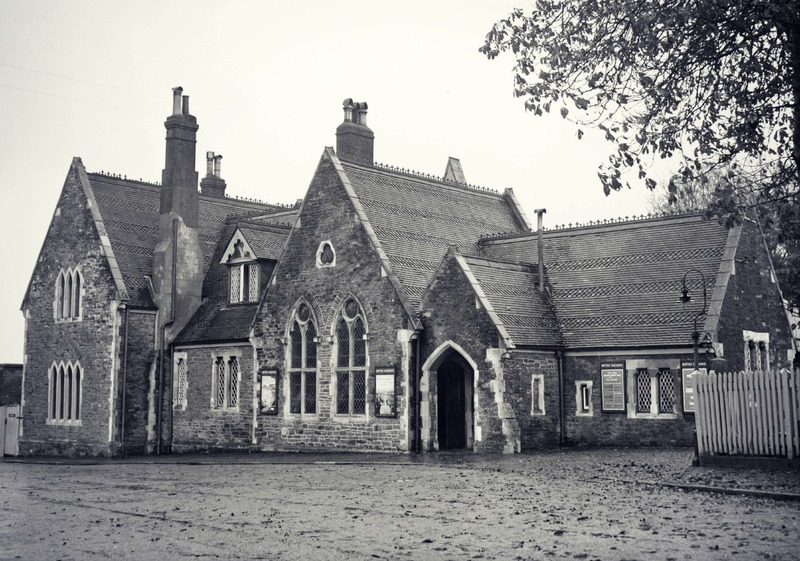 At Battle, William Tress’ Gothic-style station balanced the new technology of the Victorian era with the rich architectural tradition of England’s past. He chose a Gothic style to evoke the former splendours of the famous Battle Abbey nearby. Wolferton was built to serve the Royal Family’s Sandringham estate. Eclectic architect W N Ashbee created a suite of Tudor-style royal reception and retiring rooms as well as a spacious carriage dock and a small gasworks, which lit the entire station. The body of King George VI, who died at Sandringham, was carried by funeral train from Wolferton in February 1952. 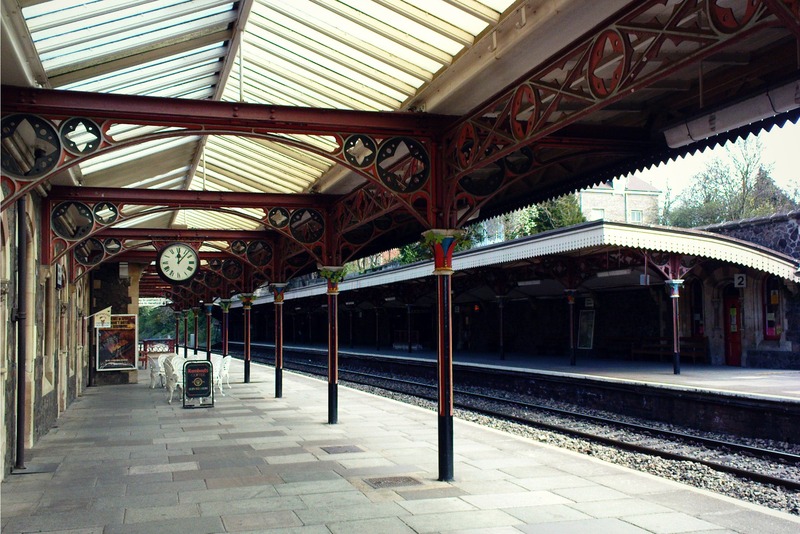 One of the most characterful stations of the 1860s, Great Malvern was designed by E W Elmslie in the Gothic style. Its deep platform awnings are supported by brackets with ornamental spandrels and iron columns topped by brightly coloured foliage-strewn capitals. 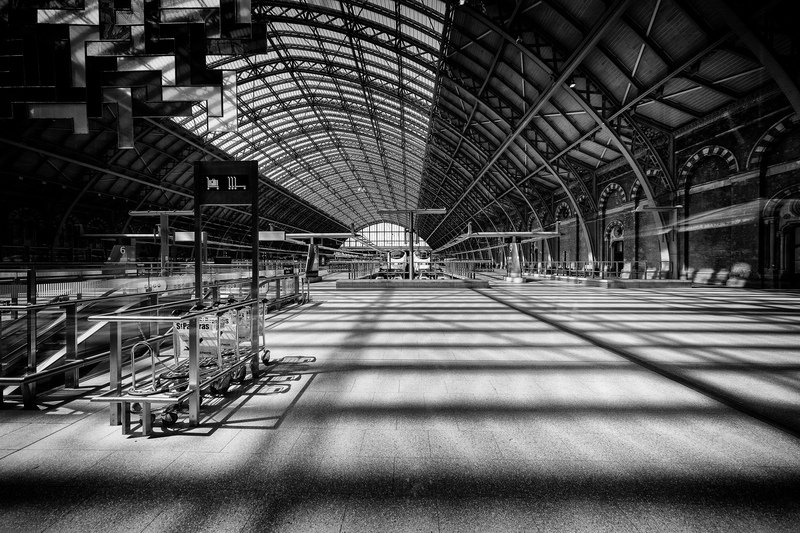 At 243 feet wide, the trainshed at St Pancras, of 1865–8, was the largest man-made span in the world for over twenty years. It was designed by William Henry Barlow, the Midland Railway’s Chief Engineer, with the help of Rowland Mason Ordish, an expert on iron construction who had worked at the Crystal Palace, and the Royal Albert Hall. Two acres of glazing made up the roof, while its massive, iron ribs were decorated with quatrefoils, circles and stars. What’s your favourite railway station? You can nominate it now for Irreplaceable: A History of England in 100 Places, our new campaign sponsored by specialist insurer, Ecclesiastical. The English Railway Station, written by historian Steven Parissien, is an accessible, engaging and comprehensively illustrated general history of the architectural development and social history of the British railway station, from the dawn of the Railway Age to the ravages of the 1960s and the station’s rebirth at the end of the 20th century. It traces how the station evolved into a recognisable building type, examines the great cathedrals and the evocative country stations of the Victorian era, and looks at how the railway station has, over the last fifty years, regained its place at the heart of our communities. York is missing … I can’t believe it. Great curved station, designed by Brunel. Expand the list to 12 so that it can be included, please. Thanks Frank for your comment, this is not a definitive list of England’s greatest stations but we’re pleased to see such enthusiasm for other stations. Perhaps we need to open this up for debate and consider a second, revised list! York station – surely designed by Prosser and Peachey – certainly a masterpiece, I agree ! 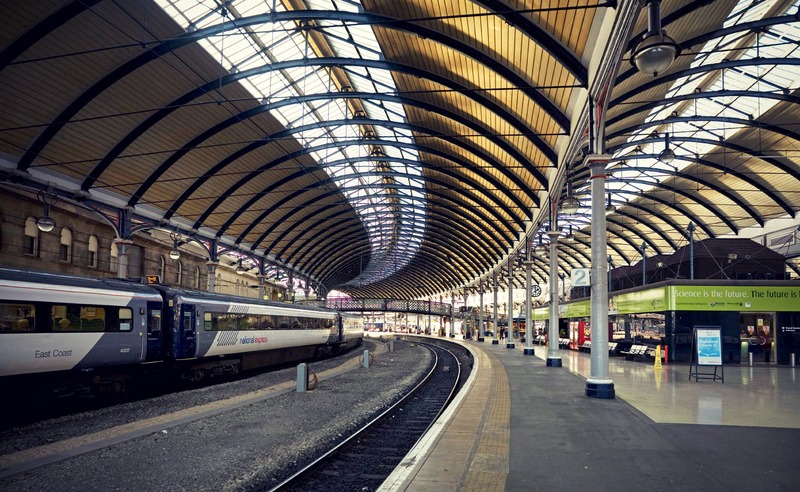 York is indeed at least as a grand as Newcastle Central but it was certainly not designed by Brunel – wrong part of the country! Regret not designed by Brunel, but by Thomas Prosser and William Peachey of the North Eastern Railway’s architects department. I was slightly perplexed at the love for Wolverton. York was designed by Prosser and Peachey, not Brunel, Frank McDonald. However I agree it should be in the top twelve… the roof especially does not require tie rods like Newcastle! Ooops! Sorry for the Brunel misattribution re York Station. It should be on the list in any case! Liverpool Lime Street, with its stygian approach cutting, magnificent train sheds fronted by Waterhouse’s equally magnificent North Western Hotel, as impressive as any London terminus. And older as is Edge Hill – the world’s oldest operational station. Hallelujah ! Christmas has come early. We have a Railway Station and not the hateful Train Station. A worthy effort but a list without York and Bristol Temple Meads is surely no list at all! 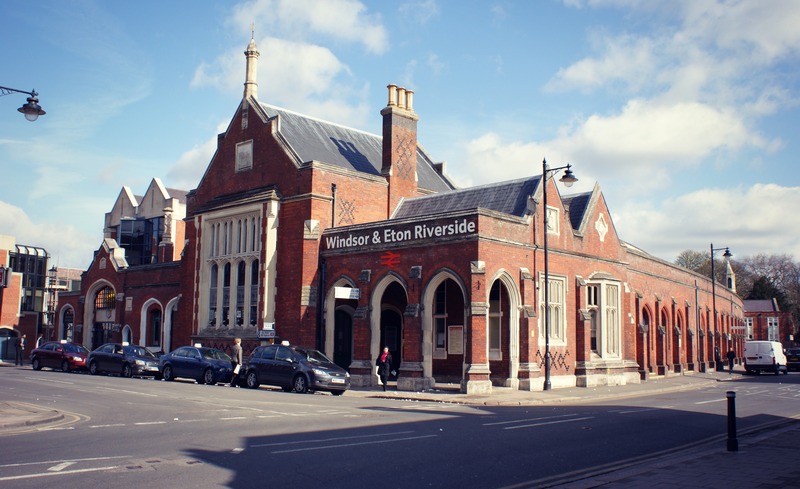 Windsor and Battle are nice enough – but I’m not sure they are national top 10 material? If we’re doing honourable mentions, then I’d put forward Hebden Bridge, Glasgow Central and Liverpool Lime Street. Here here Sir, I would second all those nominations, especially Glasgow Central – a quite breathtaking station with some amazing early use of steel construction in that beautiful roof. York, with its wonderful taxi rank, and Bristol TM are certainly up there with Liverpool Lime Street as great stations which preserve their outstanding heritage. Basically there are too many excellent stations to have a credible top ten, you could justifiably fill it with London termini – Waterloo, Victoria, Liverpool Street and Marylebone should all be up there. But I think all may agree Euston wouldn’t get a look in. As for notable smaller provincial centres Shrewsbury, Chester, Brighton, Preston, Darlington, Norwich and Manchester Victoria are all worthy contenders. Nottingham, Leicester, Sheffield and Hull also. …although my enthusiastic support would have to be tempered by the fact that it’s not in England. Brighton Station puts Paddington and most of the rest to shame with its grand roof and ornate pillars. It has also been lovingly restored which adds to its appeal. Hard to imagine a top ten list without it on it. That, or the Southern Railways master piece Surbiton. Personally i think Kings Cross is pretty hansome. But maybe i’m just biased because that’s where i arrive when travelling into London from Leeds! I see 2 of 10 buildings are by William Tite. I wonder therefore how important was he as an early railway buildings architect? Reblogged this on Michael Fielding Garber. Darlington definately,still has atmosphere of days gone by. York and Bristol temple meads have great train sheds and also both have a later art deco flavour, which i love on outside platforms. Love the art deco flavour at Exeter st.davids,leamington spa too! There surely ought to be a mention for Chateau Norwich. Also the many-roofed if diminutive glory that is Hertford East. This great historical place left to us the significant memories in the past that contributes a lot in our present times. Battersea Park station is an elegant Venetian salon; the outside is a lovely oasis in the midst of the grime and noise of a spaghetti junction of railway lines, and inside it’s graceful and beautiful, with gorgeous fittings and columns and an enormous ceiling. Carlisle Citadel Station needs to be appreciated by the city it serves. Some magnificent spaces inside the buildings crying out to be used and restored to glory. 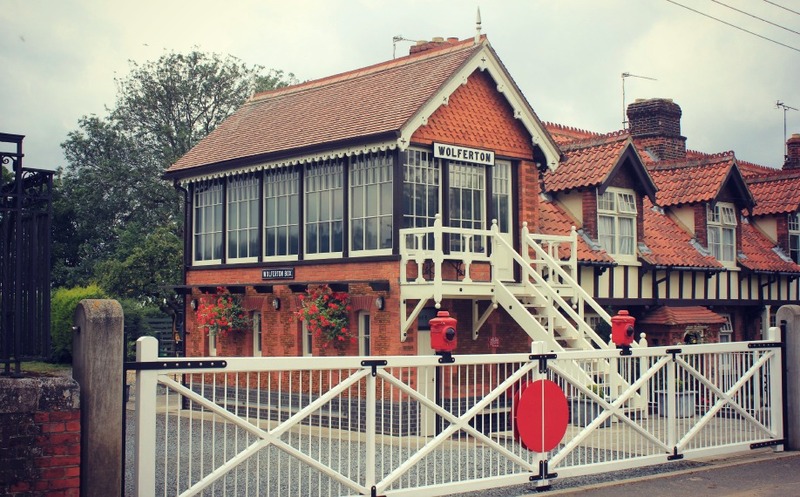 10 great English railway stations | Antonios Bouris, Communication Designer, M.Des.